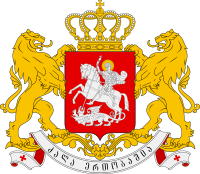 English: Welcome to the Georgian wikibook. In this book we hope to provide all you need to know in order to speak, write and read the Georgian language. This is a collaborative effort, so please, feel free to contribute anything, or even just fix up mistakes. Lesson 2: How are you today? This page was last edited on 23 August 2018, at 11:47.